As adults, one of the most common things we struggle with is admitting when we need help. 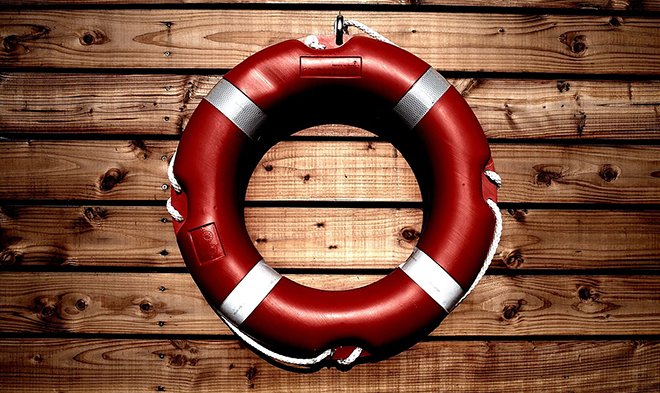 When you're drowning in debt, you've got to find a way to throw out a lifeline and ask for help. If you don’t, the problem will only intensify. How do we know when it's time to ask for professional help? What situations call for outside help? Here are six different financial signs that you need professional debt help from an outsiders opinion. If your credit score is low enough to interfere with your ability to borrow money or purchase a home or car, it's time to contact the professionals to get you back on track. It's not as scary as it sounds and you might be surprised at how quickly you can naturally turn your credit around. Don't wait until your credit gets so bad that you have to take drastic measures. Instead, ask for help now. Find yourself a credit building program that fits your lifestyle and gets that credit score growing! Luckily, Refresh Financial offers credit building programs that can be tailored to anyone's financial situation. In other words, if you don't know where to start when it comes to your debt, you might seek outside help. Without a clear repayment plan, your debt is likely to just grow and grow. So, nip this growth in the bud and get some debt relief by asking for professional help. You can start here at Refresh Financial where our secured savings loans are a great start building your credit score as quickly as possible. Click here for more information regarding Refresh Financial's secured savings loans and get debt help now. If you're stuck with maxed out credit cards, it's a sure sign you need help. Interest alone will chew through your money faster than you realize. Finding professional help can mean getting rid of those high-interest payments every month and improving your credit score over time. Related Article: Does your credit card balance always seem to be climbing? Read our blog “5 Ways to Combat the Credit Card Debt Cycle” to relieve yourself of high credit card bills. If your financial situation has gotten to the point that you're close to foreclosing on your home or having your assets repossessed, it's time for professional help. If you act sooner rather than later, you might be able to save your at-risk assets. Seeking debt help management is really your only option before bankruptcy and foreclosure. If your debts have gone to collections and you've found yourself avoiding phone calls and dreading your daily mail check, it's time to seek debt help. The longer you wait to ask for help in this situation, the more you’re going to owe and the worse your credit score is going to be. Interest won't stop accruing and your overall debt won't stop growing. Related Article: Are you currently being hounded by debt collectors? Read our “Top Tips For Dealing With a Debt Collection Agency” here. Missing a big payment or being unable to make one that is in the near future can lead to collections. Seek out professional help before it's too late. You might be happily surprised with the help they can offer. If you postpone or delay, you'll only be facing another large payment you can’t make, and then another and another after that. Don't let it get to the point where it's impossible to turn back. Credit building programs can offer the help you need in all of these situations. They can help you pay down debt, improve your credit and set a plan in motion for a better financial future. Almost everyone is approved for the credit building programs at Refresh Financial and there is no money required up front. Learn how Refresh can help rebuild your credit score with no credit checks and no money upfront!